There are a lot of businesses that need to have their customers visit them. 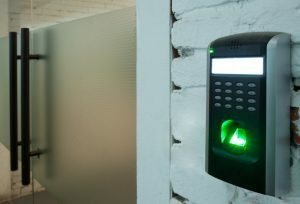 While visitor access is something that you need, you have to ensure that your business is kept safe. This is why you need to consider tips for secure visitor access. The first step to more secure visitor access is to have a visitor badge. This should be more than a piece of paper in a badge sleeve that says visitor. The badge has to be well-designed to meet the security needs of your company. A basic visitor access badge should have the name of the visitor prominently displayed. The name of the person they are going to be seeing should also be included on the badge as this will help security identify the visitors who are in restricted areas. If your business deals with sensitive information, you might want to go a step further with the badge. In these cases, you might want to consider including a photograph of the visitor on the badge. This is actually a lot easier to do than you might imagine. You can take the picture with a webcam and use software to place in on the badge before printing it. You can also ask the visitor to send a picture before they arrive if this is possible. Another way to ensure that visitor access is secure will be to check identification. Before the visitor badge is handed to the person, an inspection of their ID should be completed. This will help you ensure that the person is who they say they are and that they are not operating under a false name. When it comes to checking ID, you need to ensure that all personnel knows what to look for. There are certain security features built into different types of ID and you need to know what they are. The ID check procedure should include looking at these features to ensure that the ID is real and not a fake. When you control the access to different parts of the building, you will be able to make visitor access more secure. Access to the reception area should be open, but all areas past this should be carefully restricted. This is particularly important if your business is working with sensitive information. To restrict access, you could have an RFID chip system where employees have access to the areas that they need and visitors do not have any access. This will stop visitors from gaining entry to restricted areas or areas that they should not be able to get to. If you are going to restrict the access to the building, you will need to have a process in place for when visitors arrive. The best solution will be to have the visitor wait in reception until the person they are seeing can show them into the building. Having security personnel take the visitor to the person comes with risks as they could be left to wait unattended if the person is not at their desk.